Eric Rosenthal, Founder and Executive Director of Disability Rights International, was awarded the John Phillips Award from Phillips Exeter Academy. Each year, the John Phillips Award recognizes an Exeter alum whose life demonstrates the school’s ideal of goodness and knowledge united in noble character and usefulness to mankind. Watch a video of Eric’s speech accepting the award, below. Eric Rosenthal, Founder and Executive Director of Disability Rights International, was appointed to the Robert F. Drinan Chair in Human Rights at the Georgetown University Law Center for the 2015-2016 academic year. As the Drinan Chair holder, Rosenthal will teach a course during the fall semester of 2015 focused on international human rights advocacy for children and adults with disabilities. 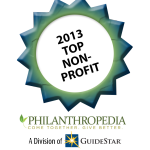 Disability Rights International was identified by 74 experts, through Philanthropedia (a division of Guidestar), in the top ten high-impact nonprofits working in the field of people with disabilities. Eric Rosenthal, Founder and Executive Director of Disability Rights International, was awarded the Charles Bronfman Prize in 2013 for fighting worldwide to end segregation and abuse of people with disabilities. The award was created by the Bronfman family to celebrate the vision and endeavor of an individual or team under 50 years of age whose humanitarian work has contributed significantly to the betterment of the world. Laurie Ahern, President of DRI, was awarded the Henry Viscardi Achievement Award by the Viscardi Center in 2013. The Henry Viscardi Achievement Awards were established to honor the legacy and vision of The Viscardi Center’s founder, Dr. Henry Viscardi, Jr., who himself wore prosthetic legs. As one of the world’s leading advocates for people with disabilities he served as a disability advisor to eight presidents, from Franklin D. Roosevelt to Jimmy Carter. Eric Rosenthal was awarded the 2012 Public Service Award. Created in 1941, the Public Service Awards honor individuals who have fulfilled the obligations of their education through creative leadership in service that has benefited society and reflected credit on the University. Disability Rights International was awarded the APA’s 2009 Human Rights Award, bestowed by the Council on Global Psychiatry, a component of the APA. The Human Rights Award was established in 1990 to recognize individuals and organizations that exemplify the capacity of human beings to protect others from damage related to the professional, scientific, and clinical dimensions of mental health, at the hands of other human beings. Past recipients of the APA Human Rights Award include President Jimmy Carter and Roselyn Carter, Senators Paul Wellstone and Pete Domenici, Justice Richard Goldstone and Physicians for Human Rights.